tiga » chicken and couscous! this pic is making me SO hungry. i was just talking to maggie about how i wanted the mashed potatoes to make a comeback, too! Don’t tell me that’s Chicken Cari. chicken cariiiiiiiiiiiiiiiiiiiiiiiiiiiiiiii!! it’s what’s for dinner tonight. oh yes the mash cravings have begun indeed. it’s all true. Man, we are weaving at the loom of victory for sure! can’t wait!!!!!!!!!!!!!!!!! man, we need to get another tab going. 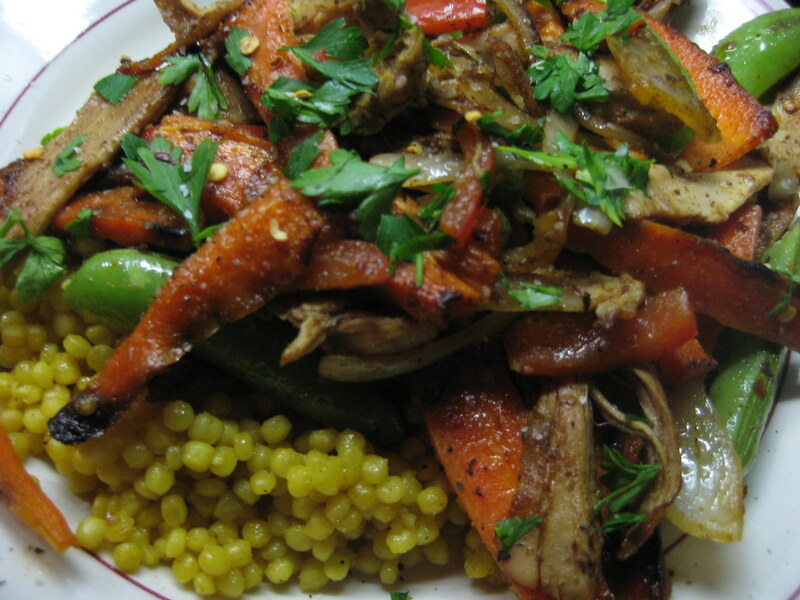 *drool* life is better when tiga offers the chicken & cous cous. i think i’ll save myself a trip to the grocery and have some tonight, even!